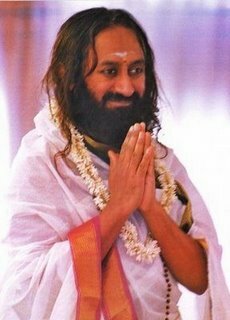 Q: Dear Gurudev, what are the three kinds of Dhritis (strengths, or types of stability of the mind) that Lord Krishna has mentioned in the Bhagavad Gita? Can you please speak about that? There are three kinds: Jnana (knowledge), Karma (action) and Kartaa (doer of the action). In the same way, there is Buddhi (intelligence), Dhriti (strength), and Daan (charity or offering made in charity). This is what has been explained in the Bhagavad Gita. The verse says: The unwavering perseverance (Dhriti) by which a person controls the functions of the mind, the vital airs (Panchvayus), and the senses - through the Yoga of Meditation; that firmness O Arjuna, is sattvik. Dhriti means that by which life is upheld and sustained. Sattvik Dhriti, Rajasik Dhriti and Tamasic Dhriti. Dhriti means that by which life is upheld and sustained. You know, for many people, their mind gets so disturbed even when little things happen. Their mind goes haywire, and they cannot even tolerate a simple insult. If someone insults them just a little bit, it throws them off completely. They cannot tolerate even a little bit of imperfection. This shows a lack of Dhriti. Sattvik Dhriti (the Dhriti born out of Sattva or positivity) is that which upholds the mind, sustains the Prana (life-force) and all the activities of the senses. For example, your tongue wants to taste different kinds of food, but the mind restricts it from over-indulging. Suppose you decide to fast for three days, or say ten days. But in between your mind gets restless and you think, 'Oh, let me take a break and eat some good food'. But then some deep inner strength stops you from giving in to your mind and breaking your fast. So here, being steadfast in the determination to continue your fast regardless of the temptations (and obstacles) is Sattvik Dhriti. It helps you to regulate and uphold your mind, your five senses and not let them go wayward. ThatDhriti (firmness of resolve or sense of perseverance) that makes you think that 'Whatever I have resolved to do, I will surely do it, no matter what', is called Sattvik Dhriti. Here Lord Krishna says: that which helps you to be steadfast in Yoga is Sattvik Dhriti. It is not like one day you engage in Yoga and the next day you forget it all and indulge in Bhoga(indulgence in sense pleasures). It should not be that, one moment you engage in meditation and the next moment your mind is overcome by indulgence. That is not indicative of a Sattvik Dhriti. That which keeps your mind steadfast; that which brings one-pointed focus in life; that which upholds and sustains your Prana and the five senses – that Dhriti is said to be Sattvik Dhriti. That which keeps your mind steadfast; which brings one-pointed focus in life; which upholds and sustains your Prana and the five senses – that Dhriti is said to be Sattvik Dhriti. Rajasik Dhriti is that in which, your state of mind, enthusiasm, behaviour and your action are related to some little reward. Such a person will say, 'What are you going to give me? What will I get out of it? If I get a good result for myself, only then I will deliver what is required'. Lord Krishna says that, when our actions are driven by a particular phase (or a particular situaton), or when our actions are driven by desire for a reward or material gain, then that firmness (or sense of perseverance) that drives our actions is called Rajasik Dhriti. Now such actions (or their results) may be right or wrong, according to Dharma (here meaning righteousness or in line with moral virtues). The vows or pledges which people take up out of excitement are Rajasik vows (meaning they are not born from a stable mind steadfast in righteousness). 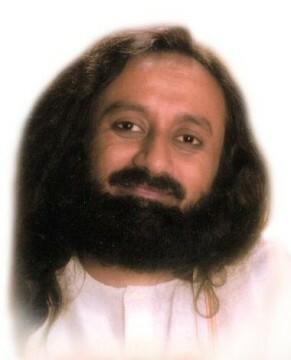 You might have heard some people who say, 'Until and unless I finish this task, I am not going to go to the Ashram'. People who take up such kind of determined promises out of a sense of feverishness or excitement, driven by some expectation of rewards, or material gains – they are said to be under the influence of Rajasik Dhriti. For example, many people perform rituals to receive certain rewards from the Divine. Some ladies observe the Solah Somvaar fast (a ritualistic fast observed for 16 consecutive Mondays; believed to please Lord Shiva) so that they get married to a good partner, or until they find a well-paying job. When you act by linking religious or spiritual practices with the hope of gaining some trivial material gains or personal desires, then it is a sign of Rajasik Dhriti. You do not do it out of love for the Divine. Such a person observes fasts or performs rituals to appease the Divine to fulfil his desires. So you keep yourself hungry thinking that by doing so, God will grant your wishes and desires. You are not staying hungry for God. And what has God to gain from you starving yourself? Such a sense of perseverance or determination that one keeps in the hope for some reward or material gains is Rajasik Dhriti. Rajasik Dhriti is that in which, your state of mind, enthusiasm, behaviour and your action are related to some little reward. Then what is Tamasik Dhriti? Lord Krishna says: That firmness or perseverance by which an evil-minded person does not give up sleep, fear, anxiety, sorrow and vanity – that is Tamasik Dhriti. What are the signs of Tamasik Dhriti? Such a person is very lazy and sleeps a lot, for them their sleep is the most important. Nothing else matters to them. They will sleep anywhere they can – whether they are lying down or even while talking to someone else. I heard about a person in Kerala who was suffering from this situation. I was told that the person suffered from this kind of disorder. He would fall asleep even while sitting for breakfast at 8 AM in the morning. After having one Dosa (a pancake made out of rice and lentil batter in South India), he would suddenly fall asleep on the table while waiting for his second Dosa. I once had the opportunity to stay at the house of one such person. He had time and again asked me to stay at his place. So I accepted. He went to the doctor for treatment about this condition. The doctors were quite surprised to hear about this disorder, so they decided to perform some medical scans of his brain. Nowadays, a new CT scan machine had been developed to take scans of the brain. So the man was made to undergo the CT scan. He was made to lie down and move through the machine. A little while after the machine was switched on, the people there heard strange noises coming from the room. They all got a little scared and were wondering what is happening. They could not understand what was causing the noises and loud vibrations. Then the man’s cook and his car driver came and said, 'Oh, don't be upset, this is nothing. Sir has fallen asleep inside and is snoring'. That firmness or perseverance by which an evil-minded person does not give up sleep, fear, anxiety, sorrow and vanity – that is Tamasik Dhriti. Now when I was visiting this man’s house, the devotees who were accompanying me on my visit were not aware of his sleep disorder. Some of them were suggesting the man to practice Sudarshan Kriya and meditation. It was only later that everyone else came to know about his sleep disorder. Tendencies such as day dreaming, constant laziness or sleeping – all these tend to happen when one gets good food to eat regularly, and stays in comforts, and has nothing to do or no goals in life to work towards. What else will one do but sleep? Usually, lack of work makes one dull and lazy. 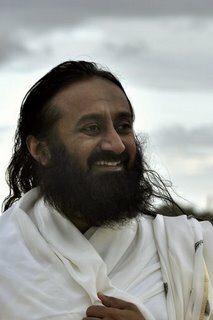 But here in the Ashram we do not let that happen to anyone at all (Laughter). We keep everyone busy. Usually the heads of other Ashrams have this problem – how to keep everyone busy and away from dullness. In some places they will ask the people to dig the earth in one place and dump it in another place. So they try to keep them engaged in doing something or the other, so that they do not fall into the trap of laziness. This is what Tamasi Dhriti is. Such people will avoid any important work that needs to be done, and first sleep. They are full of fear. You know, a lazy person is always afraid of something or the other. One who keeps himself busy and happy will never fear anything. One who continues to remain idle and do nothing at all, soon gets gripped by fear. And then soon after, this fear is followed by sorrow and depression. I tell you, how does it concern such a person whether he is cremated or buried after death? He is so attached to the body even after death! He worries about the body that will be left behind after death.